"I stripped down to my boxer briefs, took off my uniform and my hat and everything, and left my socks on." 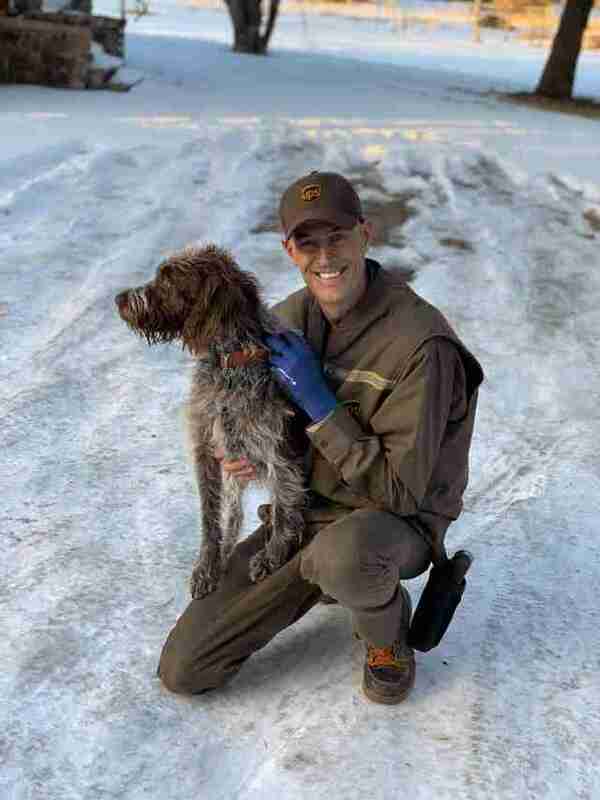 It was a busy day just a few weeks before Christmas when Ryan Arens, a deliveryman for UPS, was out delivering packages in Bozeman, Montana. 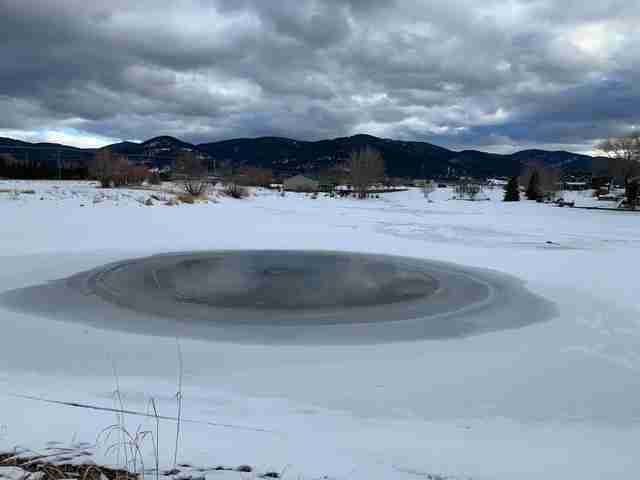 He was circling a pond in his truck when he got a better view. 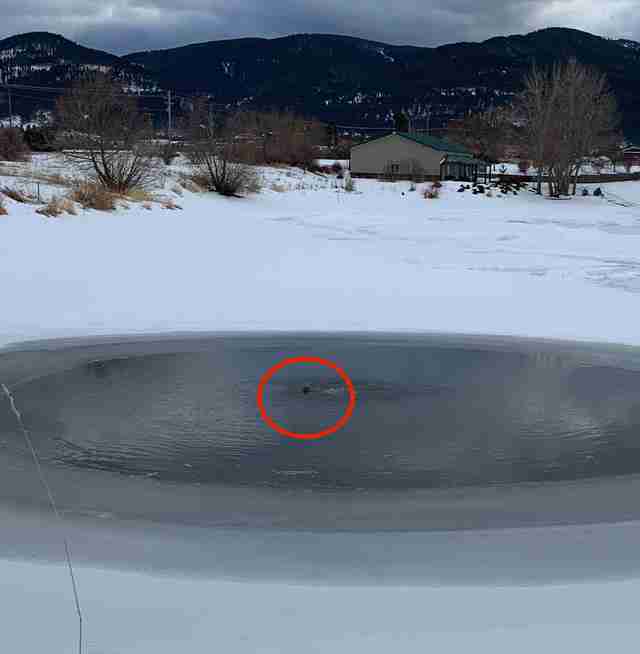 There was a layer of thin ice on the pond and something dark floating in the center of it. "I got out of my truck," Arens said, "and then I saw a dog in the pond." 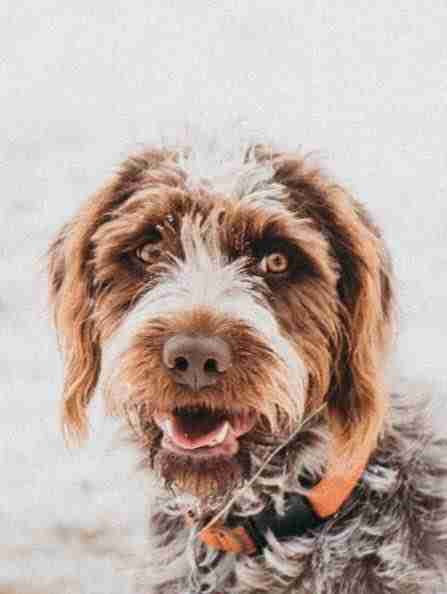 It wasn't the coldest it could have been — it was in the 30s — but Arens, having a dog of his own, knew that there was something wrong. There was no way a dog should be out swimming in that weather. "Then I saw she was clinging to the ice," Arens said. 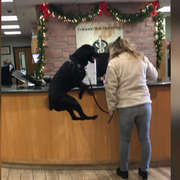 And he heard that sound again: It was the dog screaming for help. He put the dog in the boat and slid it back to shore, where the neighbors gathered. 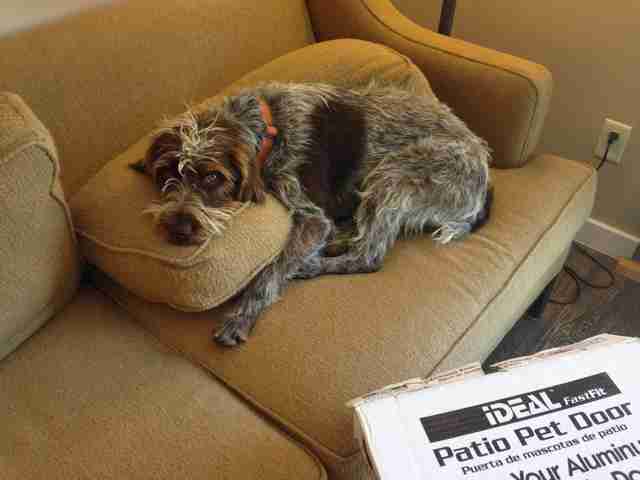 "A lady who was there handed me a blanket and I just wrapped it around the dog," Arens said. The dog couldn't stand up her legs were so numb — and she was clearly in shock. The group of people rushed her back to one of the neighbors' houses. When Sadie's person heard a dog was in the house, he arrived in a panic and was so relieved to be reunited with his dog. During the chaos of the reunion, Arens, still in his boxer briefs, slipped out the back. He got the change of clothes he keeps in his truck — sometimes the truck can break down in winter so it's always good to have extra layers — and he went on his way. "She was in his vehicle and she saw me coming down the driveway and she just went crazy," Arens laughed. "The man said, 'Thank you so much, I never really got a chance to thank you.' And then he said, 'Would you like to meet Sadie?' And I said, 'I would love to meet Sadie.'" That's how Arens got to take a photo with Sadie so he could always remember that day he saved her.